Made from waterproof, elastic and durable material. 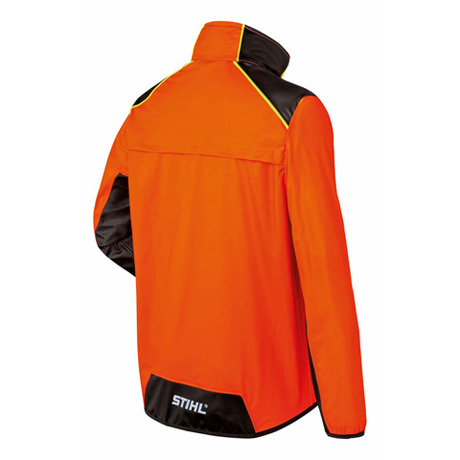 Available in high-visibility orange, outer fabric: 100% polyester, coating: 100% polyurethane. 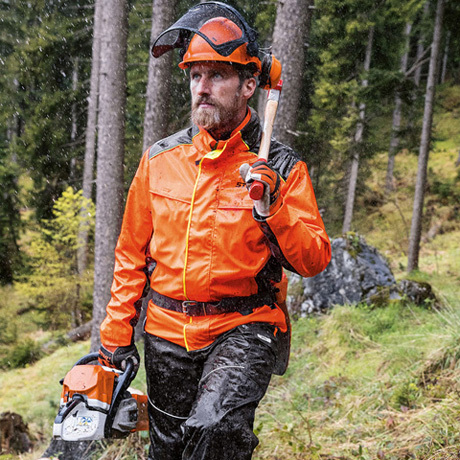 Predominantly in high-visibility orange. Water column: ≥ 5,000 mm. 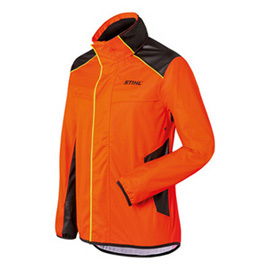 Breathable because of ventilation openings on the sleeve, as well as on the front and rear sections. Hood that can be stored in the collar. KWF Utility Value test currently pending.